A simple breakfast. A simple melody. 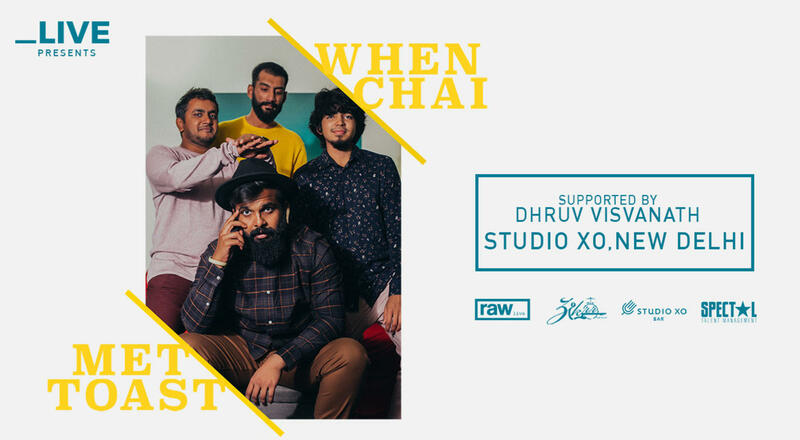 When Chai Met Toast takes inspiration from the lighter side of life to create music that is heart-warming, happy and smile worthy. The newest band from the land of coconuts, they gained fans quickly with a special acoustic setup and a unique brand of infectious happy music, which transcends age, genre and even language. popular NH7 Weekender, Red Bull Tour Bus to niche festivals like The Repertwahr Theatre and Music Festival in Lucknow, the band has appealed to audiences across the length and span of the country. Other appearances include festivals like Orange Festiva – Dambuk, Annual Royal Enfield Biker Festival – Rider Mania and the exotic desert festival – Taalbelia. Having been recognized as a passionate and innovative leader and a force to be reckoned with in the music scene, not only has Dhruv been chosen as the youth ambassador of a number of international brands such as Microsoft Lumia and Audi, but he has been called upon to give inspirational talks at prestigious events like TED, Josh Talks and AISEC as well. Adding to this list of accomplishments, one can say he has also successfully seductively posed for magazines such as Fusion Life and GQ as their ‘Artist of the Month’ (September 2014).